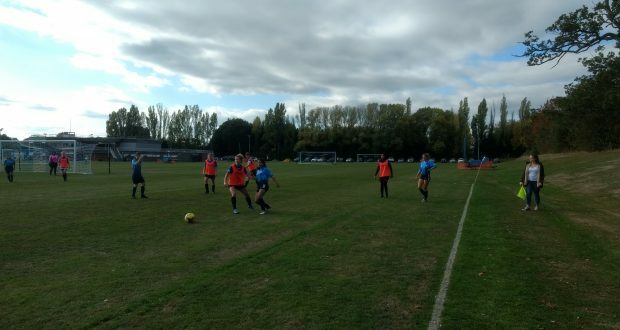 Kingston University women’s football team hosted University of Roehampton in a 0-0 draw on Wednesday at Tolworth sports ground. As a part of mini varsity the team went into the game after losing 2-1 to University of Surrey in another friendly. After a sloppy start the team came in strong with two quick attempts over the crossbar a few minutes into the second half. There was an injury scare when centre-back Beth Reeves had to be taken off due to a minor concussion she suffered from colliding with a Roehampton forward but she was brought back on soon after. Both the captain and coach spoke highly of the defensive efforts, but mentioned they still had lot to work on at training.